I seem to spend a ridiculous amount of time in my kitchen. Whether I am cooking dinner, feeding the dog, paying bills, or working on my weekly calender, it all gets done in the kitchen. That room is pretty much the central hub of activity for my family. 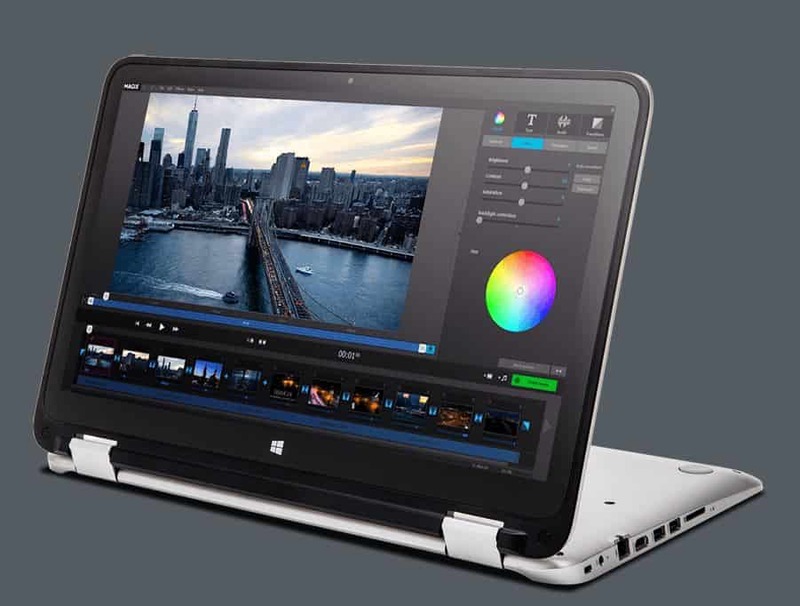 I was recently sent a Lenovo Yoga 3 Laptop with Intel 2in1 technology to try out for a few months and I realized that the one place that needed a computer the MOST, didn’t actually have one. The Lenovo Yoga 3 converts from a laptop with keyboard to a hand held tablet in just seconds, making it perfect for use in my very busy and very hectic kitchen. 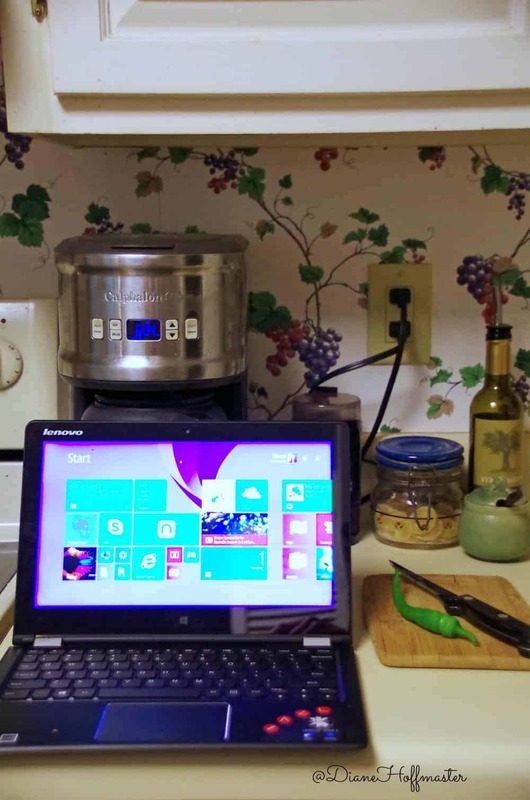 Sure, you think to yourself….your regular old laptop will work just fine in the kitchen, right? Well, if your laptop is anything like MY old laptop, it is ridiculously huge! Some days there is barely a square foot of clear counter top in my kitchen and that gigantic old dinosaur takes up way too much space. Not to mention the fact that it has gotten so slow that I could actually go to a restaurant and BUY dinner before that awesome recipe post with video tutorial loaded on it! 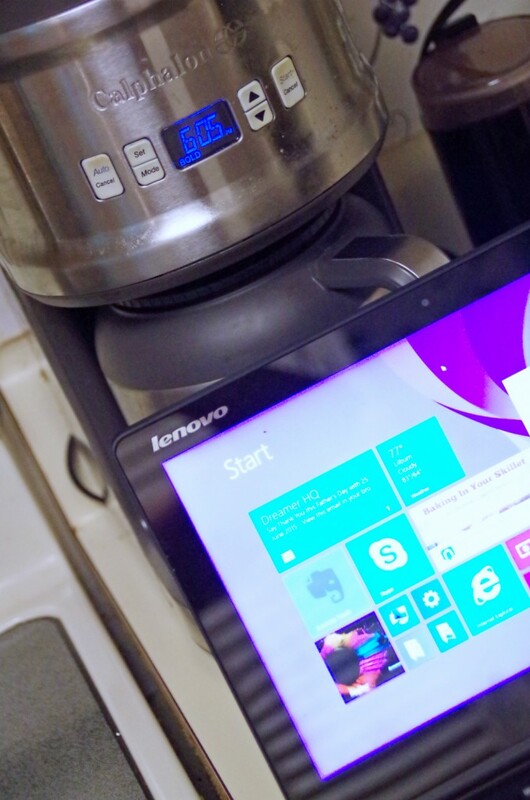 I am so impressed with my new Lenovo Yoga 3 that I decided to share a few reasons why YOUR kitchen really needs this awesome computer in it! 1. Powerful video capability: That means when you go to watch that cooking video to figure out how exactly you are supposed to light your kitchen torch, there won’t be any stopping, skipping, freezing or crashing right when you go to flambe your dessert. Flambes gone wrong can be dangerous! 2. FREE document creation available: There are tons of things in the kitchen that need documentation. When is the last time you replaced the filter in the refrigerator? How much did you spend last week on groceries? Where did you put the recipe for your husband’s all time favorite custard pie? All of those things could be easily documented for future use. Don’t want to spend a fortune on Microsoft Office? I installed LibreOffice on my new Lenovo Yoga 3 and it works AMAZINGLY well. And the best part is that the software is TOTALLY free! Documents, spreadsheets, presentations, graphing, formulas, and just about everything else you need to efficiently run your home can be had for free and the files are compatible with Microsoft as long as you save them with the right file extension. VERY easy to do! So, keep your kitchen AND your home running efficiently with free LibreOffice software! 3. Millions of free eCookbooks at your fingertips: Who needs shelves and shelves of cookbooks when the Lenovo Yoga 3 comes with Windows 8 and a handy Kindle app right on the desk top? 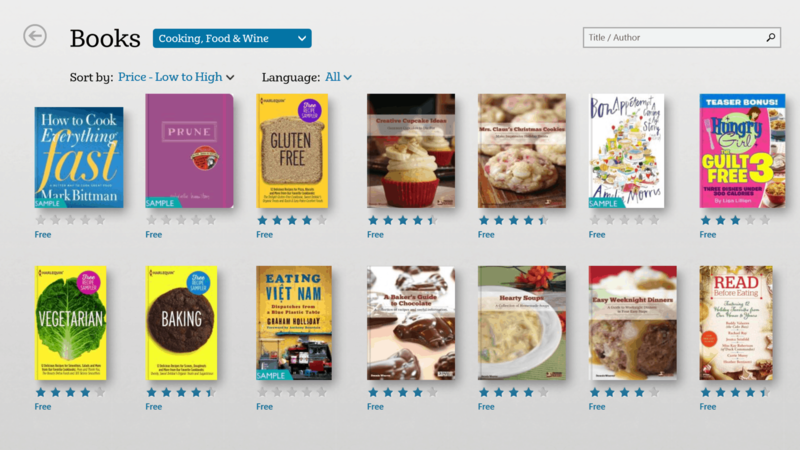 There are literally thousands of totally FREE cookbooks on Amazon just waiting for you to download them. 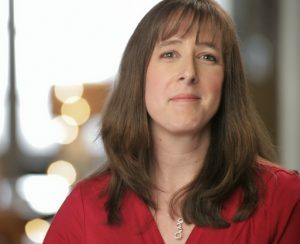 Don’t like Amazon and Kindle? Never fear, there is also a handy shortcut to the Barnes and Noble Nook app as well. 4. Skype your mom without crashing your computer: Why do you want to Skype your mom? Ever try making her world famous apple rhubarb pie but just can’t figure out what you are doing wrong with your homemade pie crust? Skype your mom and ask! Bored while stirring that polenta and want to kill some time? Skype mom and chat! Great picture quality with the built in camera and the sound comes in loud and clear without stuttering! 5. Don’t have what you need? Add it to your amazon cart so you don’t forget! It seems like every recipe I want to try requires a new spice or ingredient I don’t have. With your Lenovo Yoga 3 computer in the kitchen, you can open Amazon with a simple fingertip to the touch screen and add it to your shopping cart. That way you won’t forget to order it and can actually MAKE the recipe instead of just drooling over the picture! I have only been using the Lenovo Yoga 3 for a short time but I have already come to love the speed of this computer. I wasn’t sure if I would like the touch screen but I LOVE it! No need for a mouse and I can tap things with my knuckle even when my fingers are covered in flour. The detachable keyboard means I am not limited to leaving it perched on my counter top but can easily hold it in my hand as I stir, flip or whisk at the stove. If you are in the market for a new computer I definitely think you should check out the Lenova Yoga 3 with Intel 2 in 1 technology! I am looking forward to exploring what else this little powerhouse can do over the next few months. In a few weeks I will share a few key features of this computer so you can decide for yourself if it is right for you! Do YOU use a computer in the kitchen? sometimes cooking videos are a must and are just too small on a smartphone! it definitely has a ton of great kitchen uses! I usually end up using my phone in the kitchen. Using a laptop would actually be a lot easier to see! I usually end up using my phone in the kitchen, but it is sometimes hard to see and then I am making a mess of my phone. A laptop would work out so much better!